Nature and Hinduism are so entwined that it is quite impossible to think about one without the other. The need for an ecological balance is stressed in the Vedas and Upanishads and this message is repeated in the Ramayana, Mahabharata, Gita, Puranas and in the messages of Hindu saints. Mother Nature is worshipped in Hindu religion. But for majority of Hindus, worship is confined to temples and homes and thus they are equal contributors in global warming, pollution and emissions. Here are a few thoughts which ancient seers of Sanatana Dharma had shared more than 5000 years ago regarding the importance of nature and majority of them are highly relevant today. We Hindus are always proud to hear others praise our culture. We publish them, discuss them in social circles but rarely follow the unparalleled teachings in our scriptures. 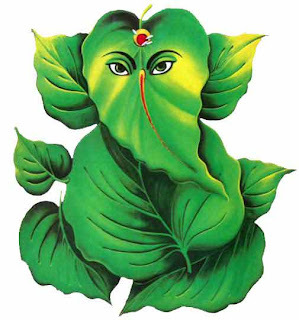 Lord Ganesha, Holy Cow, Worship of Mountains, Worship of Nagas (Snakes), Tulsi and the numerous other plants and animals that form part of Hindu worship are nothing but messages incorporated by wise Hindu Saints to teach us that we humans are part of nature and not outside it and above it. The Hindu concept of Brahman, the Supreme Soul, suggests that all animate and inanimate and all born and yet to be born are part of Brahman. Therefore an imbalance in a particular part will affect all other parts. The Supreme Being then finds out a method to transform that defective part. Since Brahman is present in all, it is easy to transform. And we humans might term such a transformation as the End or Death or total annihilation. For the Supreme Soul, it is a small repair work carried out by a minute virus. Only a people's movement can save the earth from destruction. We are armed with wise teachings of our saints. Now what we need is its implementation.